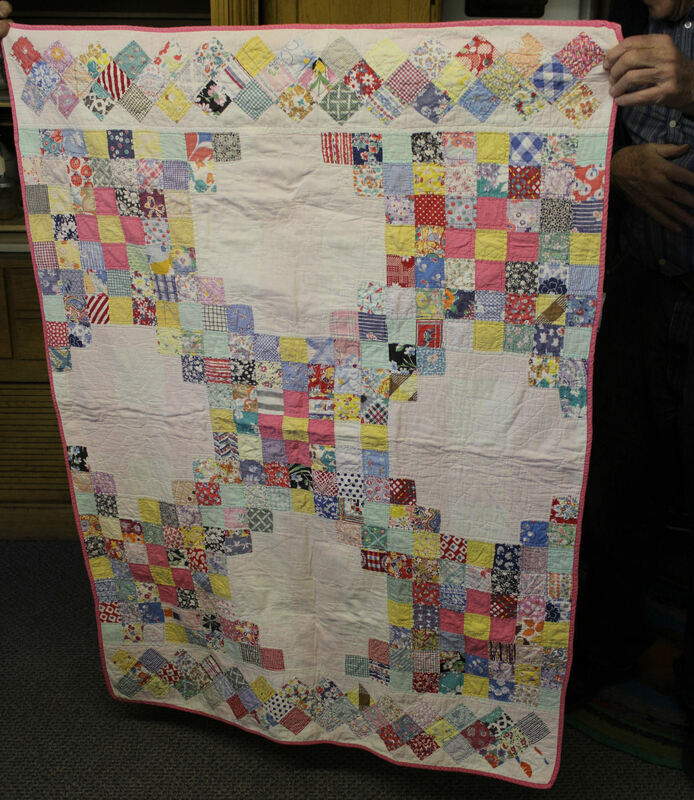 Antique pieced baby or crib quilt that measures 53″ x 38″ and dates from the 1940’s. Wonderful colorful fabrics have been used in this quilt that shows appropriate patina to know that it was a quilt that was used and loved but there is no holes. Stitching in this quilt is approximately 7 stitches per inch. This is a nice smaller quilt that one could use in limitless ways to decorate around your home or to use once again in a nursery!